These aluminium framed benches are strong yet light and complement the Contour folding table range. 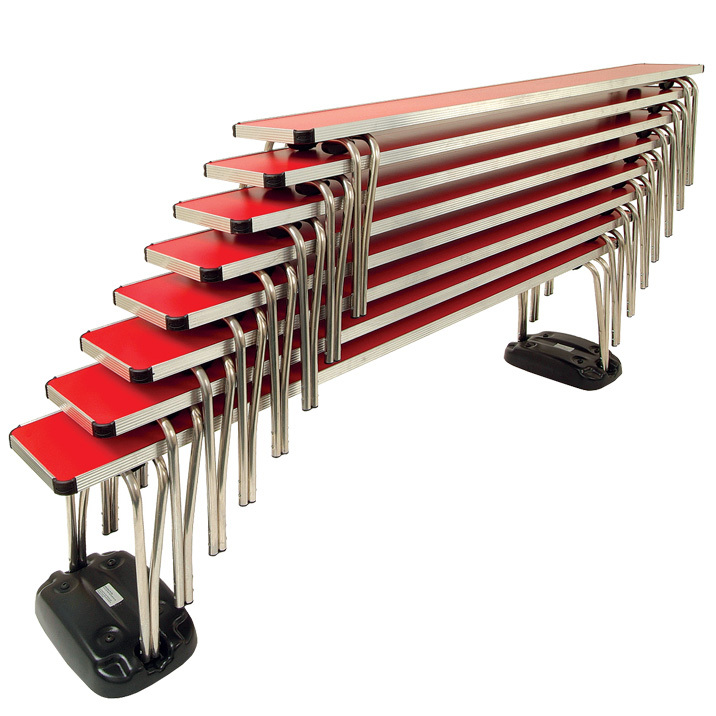 They are extremely light but robust with an easy to clean laminate surface in a choice of 16 colours. 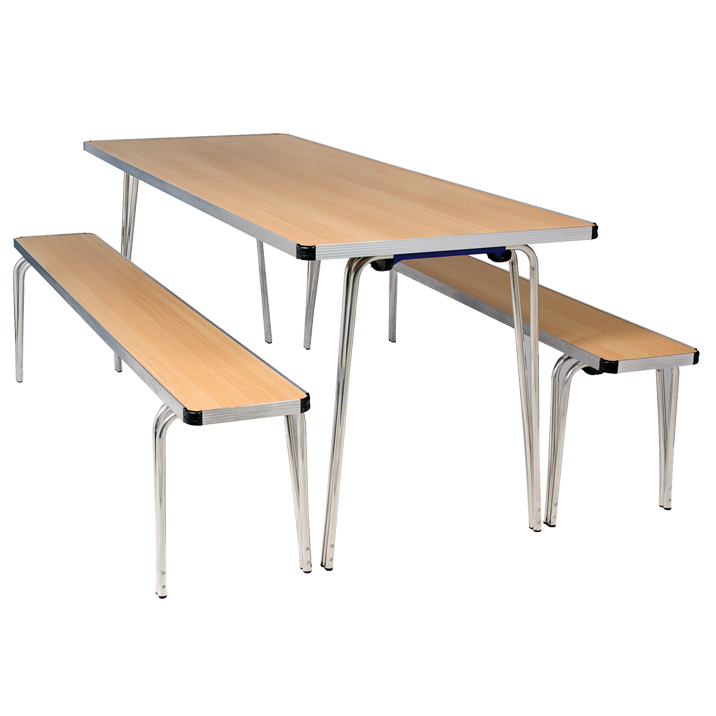 Ideal for school dining halls, factory canteens and youth organisations. Simple to stack for storage.